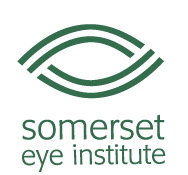 Thank you for choosing Somerset Eye Institute (SEI) for your procedure. It is important you contact your insurance company prior to receiving services at SEI. Each plan is different and provide varying levels of coverage which could make a difference in your out-of-pocket expenses. It is always best to contact your insurance company to obtain more information if you have any questions. As all insurance plans are different, it is your surgeon’s responsibility to verify if your plan requires a pre-authorization for the procedure(s) you are having done and obtain one when required. Furthermore, SEI and your surgeon are two separate providers and may or may not participate in the same insurances. It is your responsibility to verify insurance participation. Prior to your surgery, we will contact your insurance carrier for verification of your insurance eligibility and benefits. We will advise you of any and all financial responsibilities estimates, in advance of your surgery to ensure your complete understanding. All required copays, outstanding deductibles and coinsurances will be collected on the day of surgery. If your insurance plan requires a referral, it is your obligation to obtain this for your services. For your convenience, we accept cash, credit cards, checks, and money orders. We work with other providers which may be a part of your care while at SEI. In addition to a bill from the facility and the physician, you may receive a bill from the anesthesiology group listed below. Should you have any questions regarding billing, please feel free to contact our billing department before your surgery date at (732) 846-2501 or 800-955-4428, Monday through Friday between the hours of 8 am and 3 pm. We will be happy to assist you.